Screen Tight’s new railing infill screening product, MeshGuard, was recognized at the 2018 International Builders’ Show (IBS) in Orlando. With nearly 140 Building Knowledge sessions, 5 Master sessions, Spotlight & Thought Leader sessions, Tech Bytes and Builder Clinics, IBS is the the place to find the most forward-thinking home businesses. Screen Tight showcased three new products during the 2018 IBS show. MeshGuard – Our new innovative screening solution for infill. NO MORE PICKETS! Screen Wall – A new PVC porch framing system built to withstand extreme weather. Screen Block – The simplest way to enclose your porch without having to remove your screens. But it was MeshGuard that stole the show. 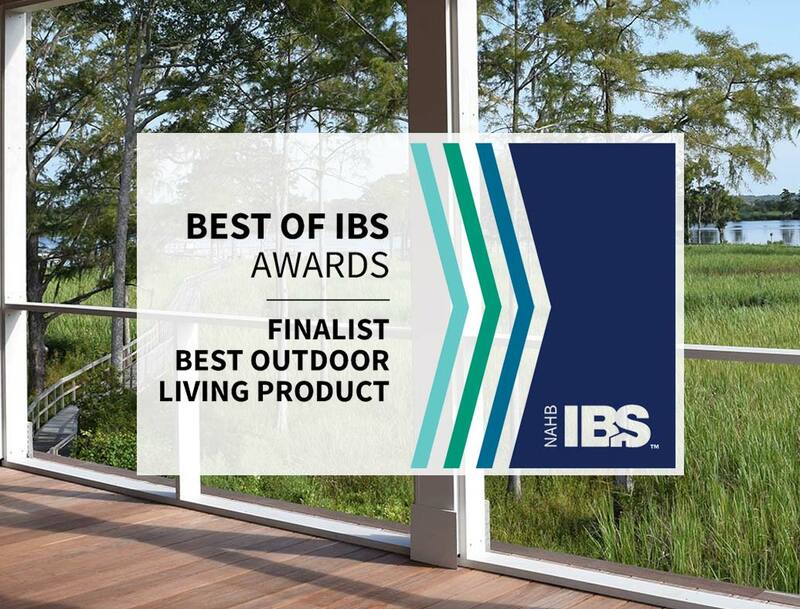 The infill screening system was a finalist for the 2018 Best Outdoor Living Product. Screen Tight created the MeshGuard system to solve the design challenges of the infill area below the porch handrail. Most American building inspectors require vertical pickets, or other obtrusive barriers, to be placed every four inches in the infill area – blocking the view to the outdoors. MeshGuard replaces these visual hindrances with a screening system that creates an open, unobstructed view. The International Builders’ Show, the largest annual light construction show in the world. Learn more about the other award winners at buildersshow.com.